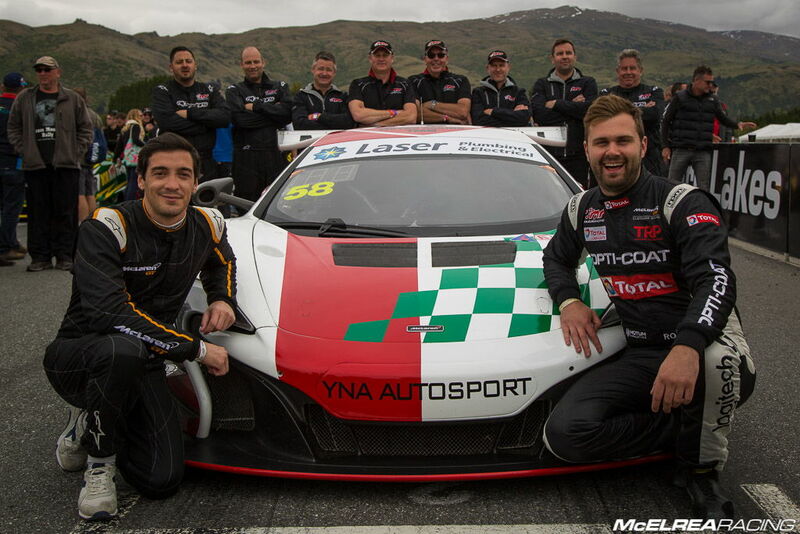 With quite a few of the awesome MR crew growing up in NZ, we were looking forward to heading back across the Tasman for the last two rounds of the Australian Endurance Championship. 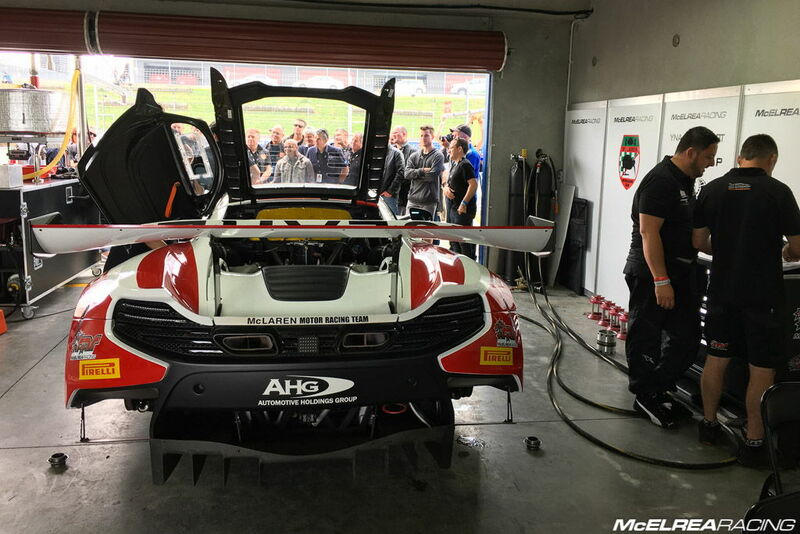 The current structure of the AEC pit-stop rules and minimum drive times, meant like AEC round 2 at Sydney Motorsport Park back in August, the fuel consumption of the 650S McLaren would force an additional third fuel stop which would be an obstacle that would require some very cunning strategy and/ or some good old fashioned luck. 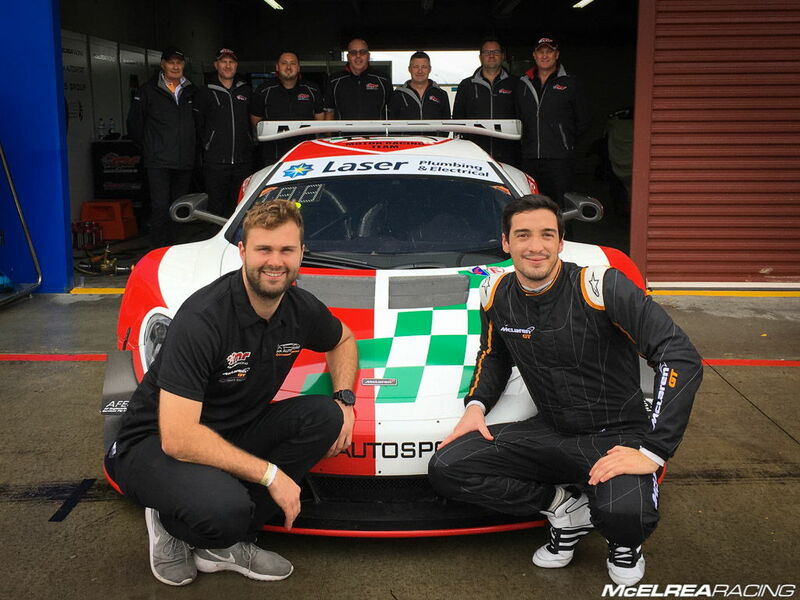 Despite these challenges (and sadly leaving Luffy at home to look after Ivy Rose) we were looking forward to working with McLaren GT 'factory' driver Alvaro Parente alongside Fraser. 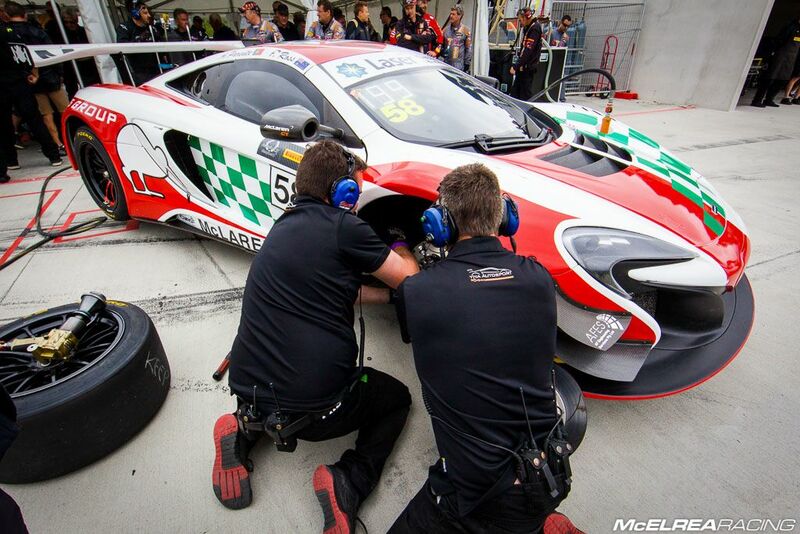 We were also running the unique retro livery in recognition of McLaren's kiwi heritage. Alvaro did a terrific job in the rain affected top ten shootout to qualify 2nd. Unfortunately he was penalised for crossing the pit entry blend line while doing his lap, so we started 8th. Fraser started the race and had an epic first two laps getting up to second place and proceeded to apply huge pressure to the leader for the next 60 minutes. Alvaro took over just before the half way mark where we put fresh tyres on and a full fuel load. 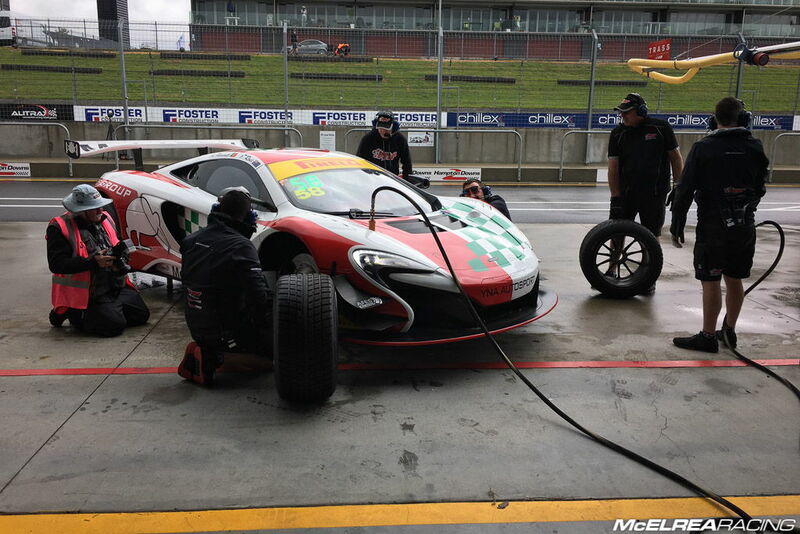 He pitted again just before the fuel window closed to top up with fuel. 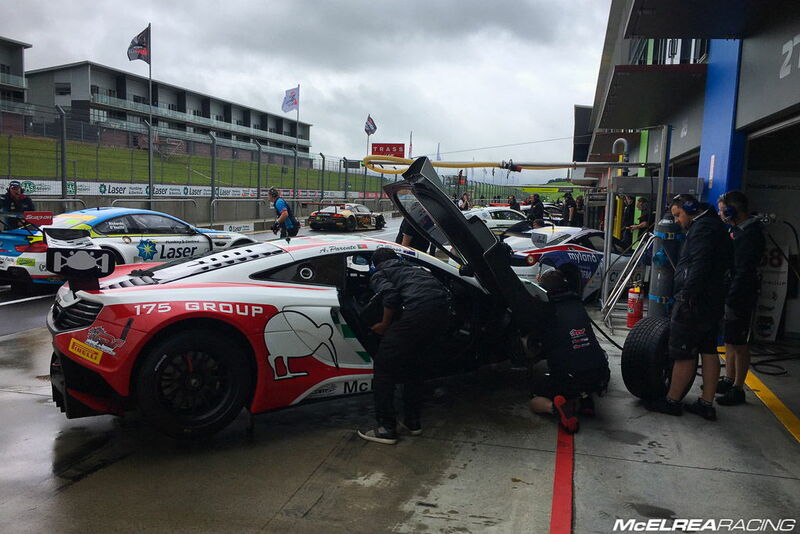 As expected, with a 46-48 lap fuel range compared to the Audis and Porsche who could do 60 laps on one tank of fuel, we had to stop again to make it to the end without stopping for fuel. Despite great work from the awesome MR crew, engineer Wes plus Fraser and Alvaro, it was a rather anti-climatic finish. 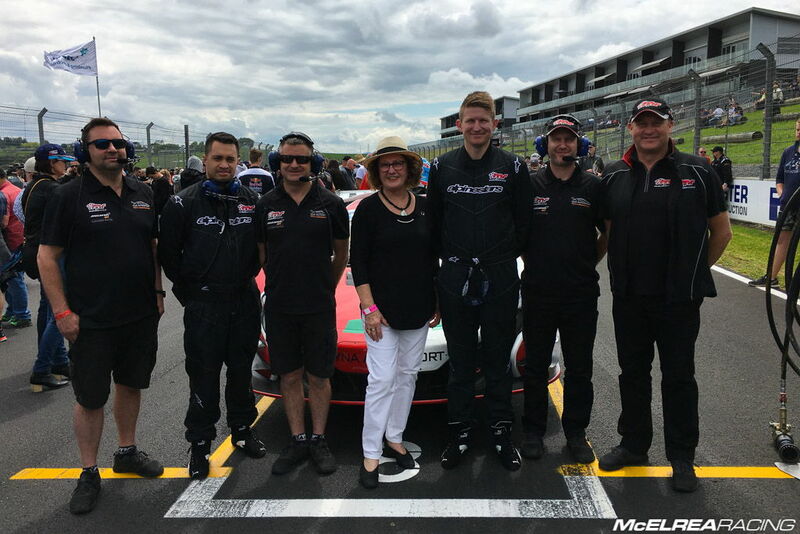 Like round 3 at Hampton Downs two weeks prior, Alvaro did a terrific job in the top ten shoot out to qualify on the front row again. As usual the Highlands race starts with a 400 meter drivers running race which Alvaro couldn’t believe until he found himself on the starters blocks! 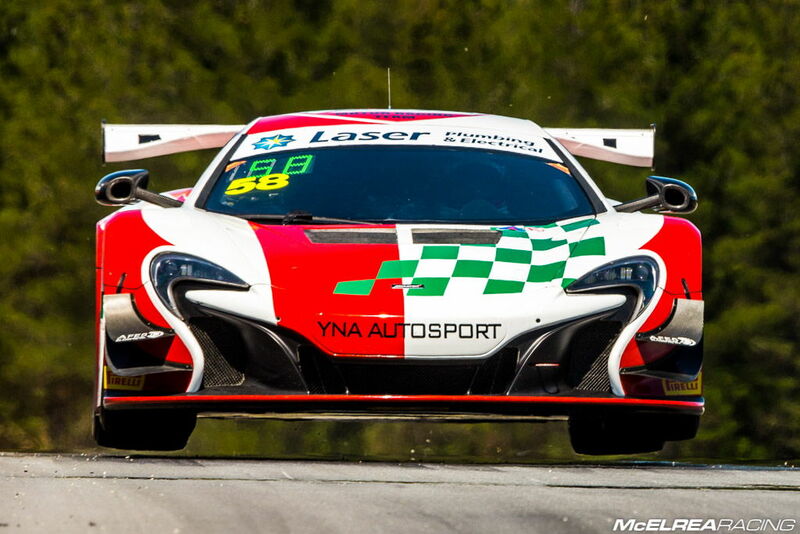 Unfortunately his great sprint was for nothing as the car broke a near new front brake rotor on the warm up lap. Dano, Timmy and Spooner did a great job to replace it as quickly as possible (including some blistered fingers) but we started the race 2 laps behind. We caught up 1 of those laps with clever strategy and got very close to getting back onto the lead lap during Fraser’s stint. Not long after Alvaro took over the car started losing drive with symptoms like a slipping clutch. He did his best to nurse it to the finish, but it eventually failed completely. 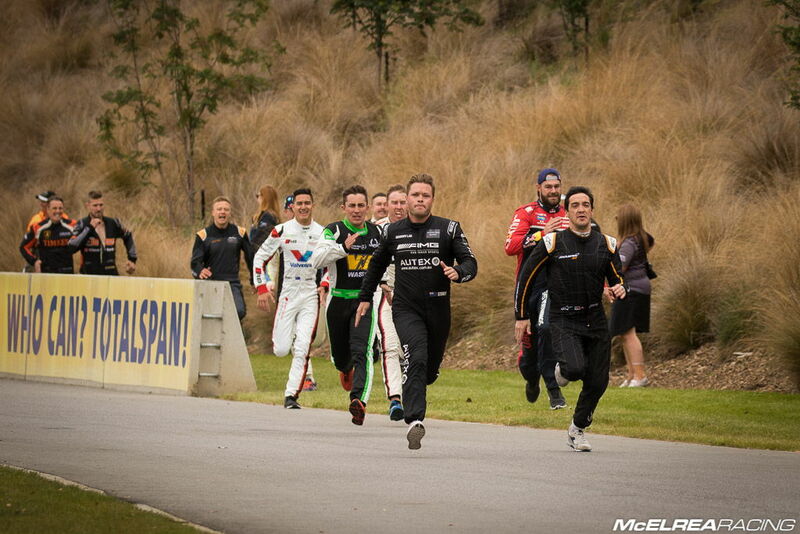 Due to our optimistic outlook, we went to NZ hopeful of a result despite the McLarens fuel disadvantage. As it turned out, the luck we needed didn’t eventuate. 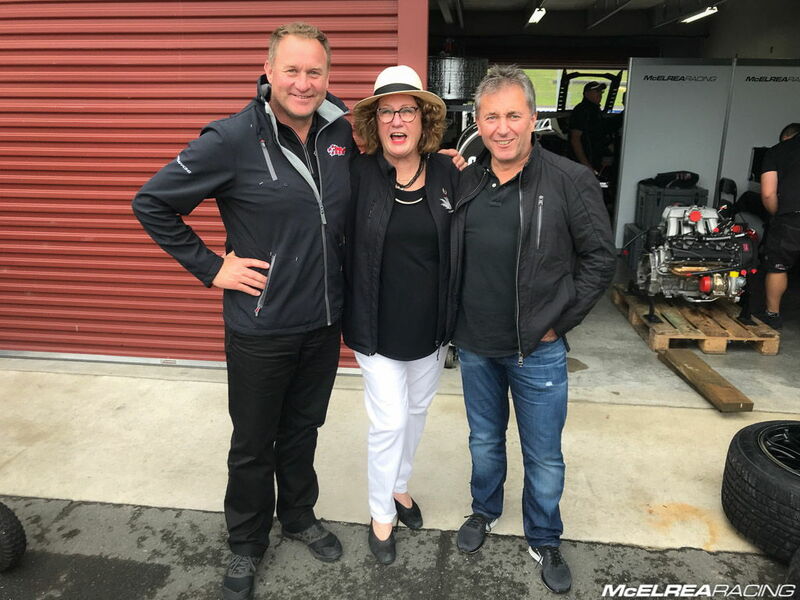 It was however an unexpected highlight to meet and host Bruce McLaren's sister Jan in our pit area at Hampton Downs. 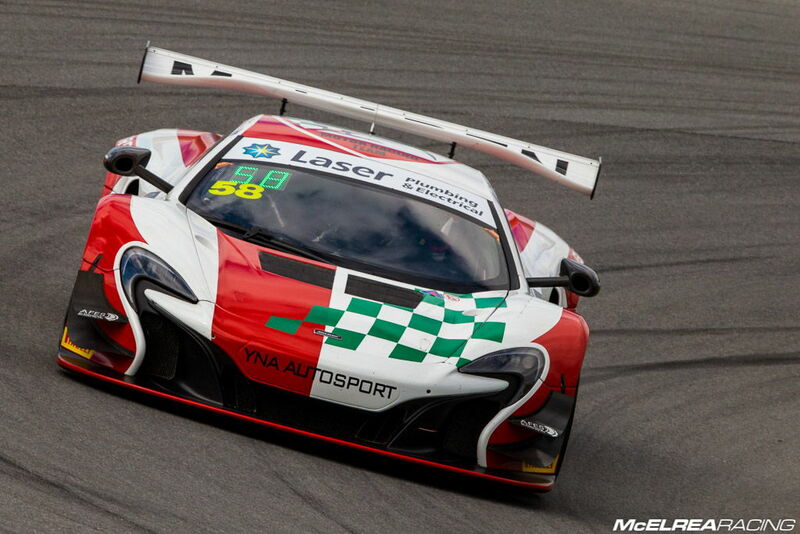 Thanks to Fraser and his sponsors, car owner Alex Franes, Alvaro who is a true team player and all round great bloke and of course the hard working awesome MR crew #AMRC. 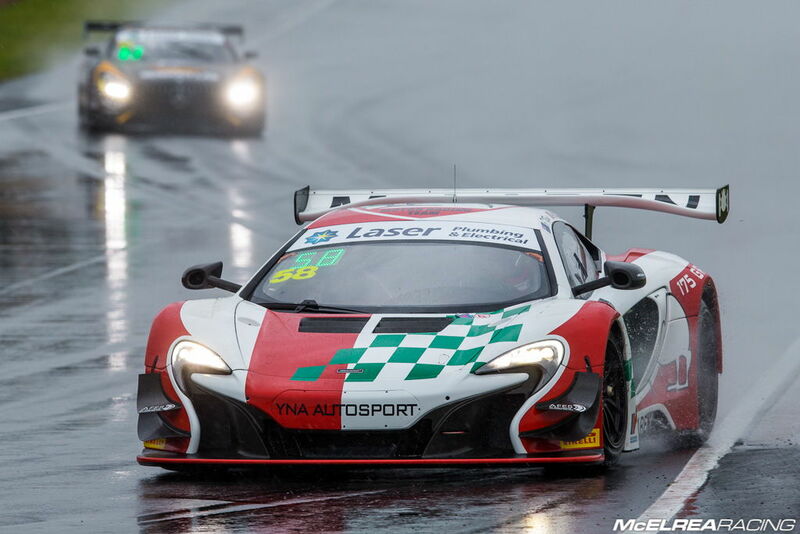 The next race for our mighty McLarens will be the Bathurst 12 Hour in February, where we don't have compulsory pit stop rules and will be able to race on a level playing field!